Dr. Mohamed Sultan is chair of the Department of Geological and Environmental Sciences, and professor at Western Michigan University. 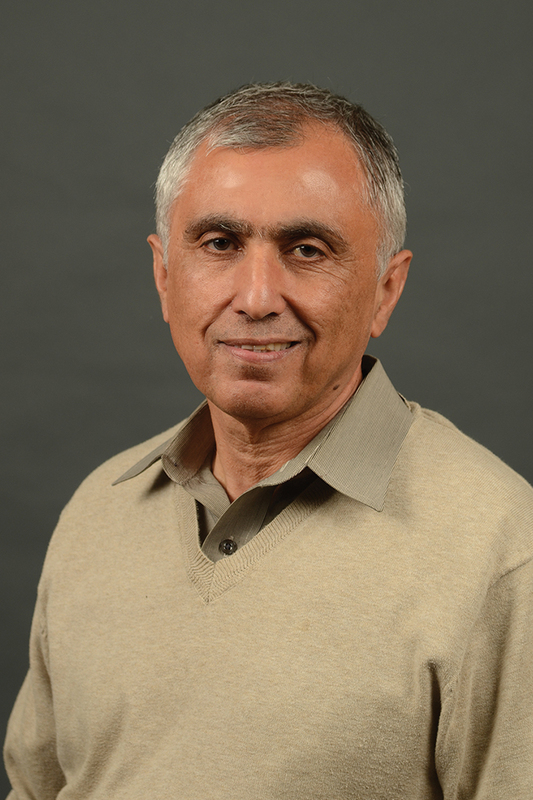 Sultan leads the Earth Sciences Remote Sensing Lab and supervises graduate students and research scientists. Sultan applies remote sensing and geographic information systems to address a wide range of geological and environmental problems. He is involved in interdisciplinary research in a wide range of fields such as: geochemistry, geochronology, hydrology, surface runoff, groundwater flow modeling, and field geology. He is nationally and internationally renowned for his research in Asia, Africa, and the Middle East. Mohamed, L., Sultan, M., Ahmed, M., Zaki, A., Sauck, W., Soliman, F., Yan, E., Elkadiri, R. and Abdou Abouelmagd, 2015, Structural Controls on Groundwater Flow in Basement Terrains: Geophysical, Remote Sensing, and Field Investigations in Sinai, Surveys in Geophysics, DOI:10.1007/s10712-015-9331-5. Ahmed, M., Sultan, M., Wahr, J., Yan, E., Chouinard, K., 2014, The use of GRACE data to monitor natural and anthropogenic induced variations in water availability across Africa, Earth Science Reviews, v. 136, pp. 289-300. Dailey, D., Sauck, W., Sultan, M., Milewski, A., Ahmed, M., Laton, R., Elkadiri, R., Foster, J., Schmidt, C., Alharbi, T., 2014, Geophysical, remote sensing, GIS, and isotopic applications for a better understanding of the structural controls on groundwater flow in the Mojave Desert, California: Journal of Hydrology: Regional Studies, doi.org/10.1016/j.ejrh.2014.12.002. El Kadiri, R., Sultan, M., Youssef, A., Elbayoumi, T., Chase, R., Bujlkhi, and A., Bujlkhi, M.M., 2014, A Remote-Sensing-based approach for debris-flow susceptibility assessment using artificial neural networks and logistic regression modeling, IEEE JSTARS, DOI: 10.1109/JSTARS.2014.2337273. Sultan, M., Ahmed, M., Wahr, J., Yan, E., Emil, M.K., 2014, Monitoring aquifer depletion from space: case studies from the Saharan and Arabian aquifers, Rodell, M., (Ed. ), Chapman Remote Sensing AGU monograph number 206. A comprehensive list of publications by Dr. Sultan's Earth Science Remote Sensing Laboratory can be found on the official laboratory page.